Hello, my name is Joe O'Neal. I am the the owner of Bayou Lacroix Vineyards, chair person for the Gulf Coast Bayou chapter of the American Wine Society, and creator of the Winemakers Emporium web site. It wasn't until a couple of years ago that I started making fine wines in my home. I have since started a muscadine vineyard, with plans to expand into growing wine grapes. Fruit wines are my passion, as they are unique in many ways, and differ quite a bit from grape wines. 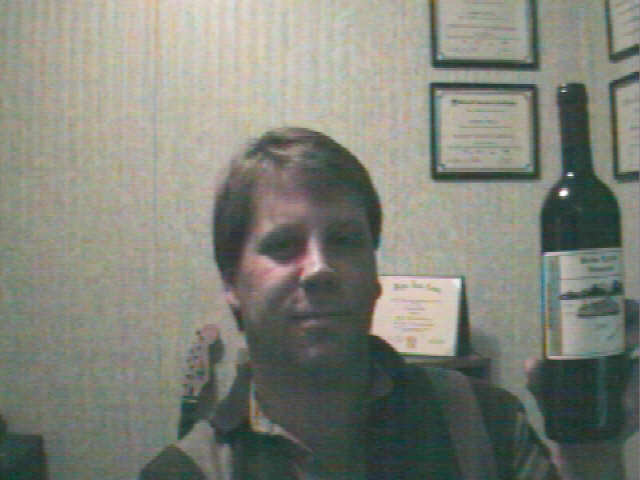 I do however truly enjoy a wonderful red grape wine, and have made several varieties in the past. I have been working in the computer industry now for more that twelve years, and have always been fascinated with computer graphics and web site construction. With my passion for winemaking I saw an opportunity to combine the two together to bring you Winemakers Emporium. My study of winemaking has been intense to say the least. I have always approached things in life with great passion, and making wine was no exception. I have read most every book on the subject of making wine, and on viticulture and enology. My first wine started out to be a strawberry, but ended up more or less as a mixed fruit wine. I have to say it was pretty good, but still lacked the character I was looking for. It was on this batch of wine that I began to learn the nuances of winemaking. I recall the wine as being less than flavorful, and I struggled to enhance the flavor in ways you would not imagine.. I eventually learned of artificial flavorings that you could add to wine to give them a more fruity flavor. I acquired some strawberry and raspberry flavoring and added it to the wine. It did improve the wine, but I could taste the artificial flavor. I have since decided never to use any artificial compounds in my home made wines, If the wine just isn't up to par, I would rather dump it and start over. Fruit wines are far more complex and offer a greater challenge to the average home winemaker. Making a FINE fruit wine is difficult to say the least, and takes meticulous practice and patience. I once read that a fruit wine has the ability of scoring a perfect 20 in a competition, and can easily out score a grape wine. Not to say that grape wines aren't simply wonderful and full of complexities, because they are. Grape wines tend to come into their own easier than a fruit wine, Grapes are a much more balanced fruit and need much less balancing to turn them into a fine wine. Fruit on the other hand needs balancing, caressing, and artistic nurturing to turn into a fine wine. There is a BIG difference in a good drinkable wine and a FINE wine, and with practice you will come to know the difference and how to get your wines to the FINE stage. Oh!! but be warned no matter how much you learn about making wine, you will still always make mistakes. I still make them all the time, and then sit and wonder why in the heck I ever did something that stupid!! You will find that most mistakes in wine making are caused by adding something wrong or the wrong amount of something, at least it has been that way for myself. As an example, I had a wine that was wonderful, but still dry and in the aging process. I decided to bring the sweetness up to enhance the fruity aromas of the wine. I had a Rioja Rouge wine kit, and decided to sweeten a little with this. What a mistake!!! It gave the wine a terrible bitter taste, and I was very disappointed. I later decided that the amount of strong chemicals (s02) and the high acid in concentrates, caused the problem, Wine kits are designed to be diluted quite a bit.. Boy, did I learn my lesson on that one. I still use concentrates in fruit wines, but add them prior to fermentation to enhance flavor and give the wine some added color and body. I now only use neutral type concentrates as they will not impart very much flavor, but add to the body. Not to get me wrong, grape concentrates usually do well for sweetening a finished wine, but in this instance it caused a problem. I hope to pass on as much information as I can to help all of you with your homemade wines and winemaking. I am simply infatuated with making good wine, and really enjoy meeting all the wonderful people that are involved in the industry, both commercial and amateur. In closing, you will find my Email address on most all pages of this web site. I am always happy to help in any way that I can, and will be glad to answer your questions that you have. Remember not all wines are going to come out fantastic, so don't give up and keep on trying. Often times an error can be fixed without sending 5 gallons of wine down the drain. Most all wines will finish quiet well and good on their own, and will need only a few adjustments if they come out as expected. Always start off with the correct amount of fruit or grapes, keep the acid and sugar levels balanced, keep S02 levels correct but never to high, ferment to dryness and sweeten later, and let bulk age a good while. If you follow these general guide lines, you will make wonderful wine, and each batch will get better and better. When you have a real winner, enter it into a competition and see how it does, I bet it does well..